Hereford and Worcester Moths: Something of a purple patch! In recent weeks I have been fortunate enough to get a few interesting moths in the garden trap. I have also had some success with moths taken as larvae and bred through. In the garden I found Oblique Carpet and Privet Hawk Moth in the trap on the night of the 25th. 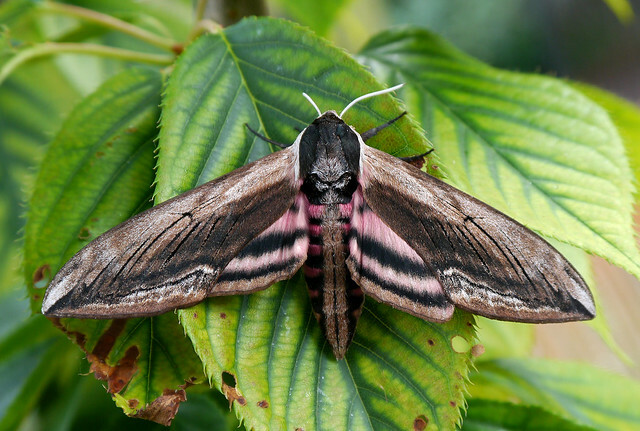 We are on the edge of Privet Hawk Moth's range but they do seem to be doing well in recent years. After an absence of C50 years they are now being recorded in Southern Worcs. at least once or twice a year. 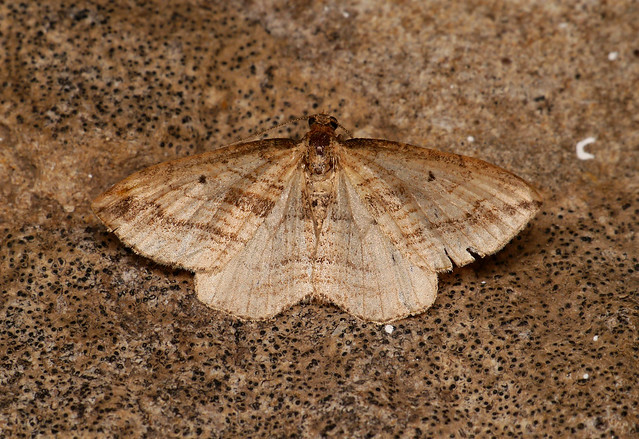 There are very few records for Oblique carpet in either VC37 or 33. 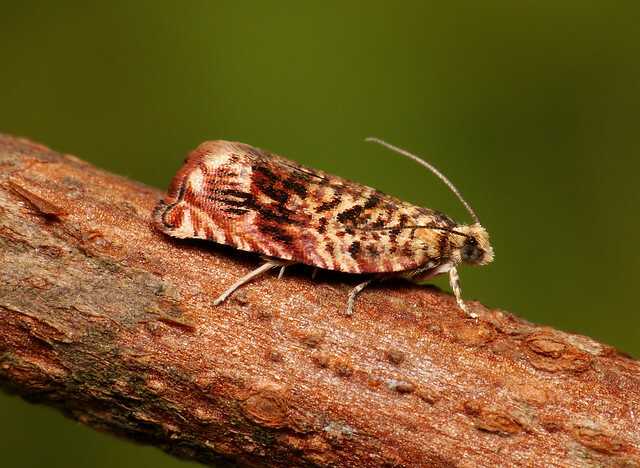 Last year I caught the very smart tortrix Gypsonoma minutana in the trap. It was the first record for VC33. On the preceding night Steve Whitehouse caught one in Worcester which was new for VC37. This year I went out looking for larvae and found some likely looking spun leaves on White poplar on the verge of the Broadway Bypass, just inside VC37. Last week a stunning minutana emerged, the second Worcestershire record, and Steve told me today he has caught it again in his garden trap so this moth is most definitely established in the county. 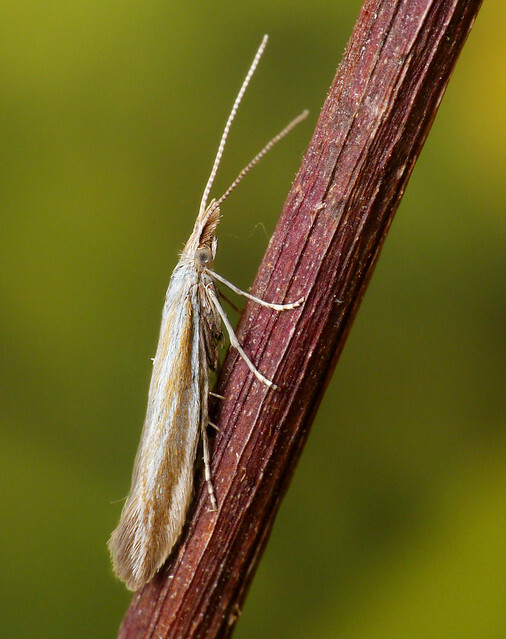 Finally, both heathland Coleophoriid moths I found at Hartlebury in April emerged during the week. C.pyrhulipennella, from the big shiny black cases and C.juncicolella from the elaborate case made from stacked heather leaflets. 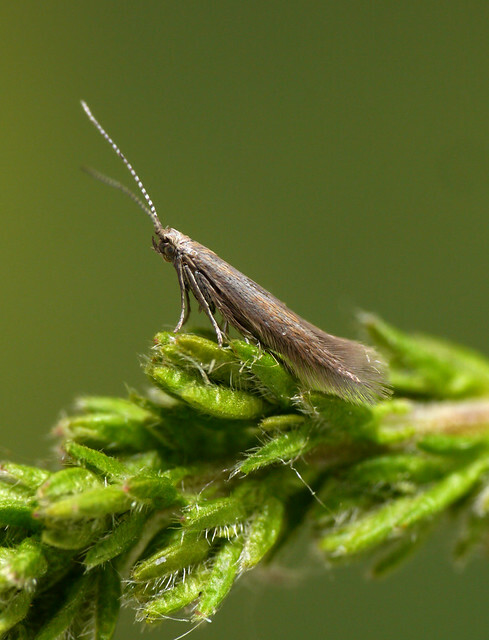 This one is tiny - only 4mm long and by far the smallest of its genus. Nice post Oliver. I've had two juncicolella emerge this week, yes, really small, thought they must be flies looking at them through the mesh!